All the help you need Xella is much more than just a manufacturer of building materials. We will support you from the beginning of the building process to the end. 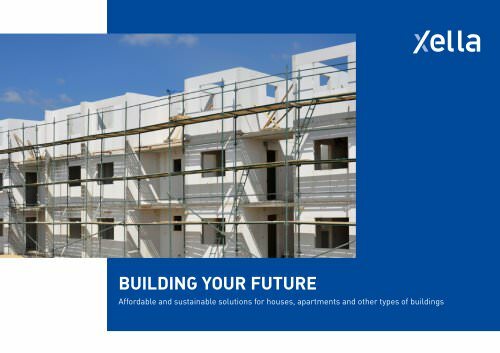 Our involvement begins as early as the design phase, with Xella helping you make the right calculations and work out the technical details. We can also work with you on solving logistical challenges. In the building phase, we will train construction workers, providing instruction videos and manuals. Our coaching is on-site, ensuring your project is a local project carried out by local builders. Building your future! Eager to find out how we might contribute to your building project? Xella will be happy to inform you. Contact us for more information or technical assistance, for instance on calculations and design. We will make sure your project starts the right way. Xella. Building your future and ours.